Cute suds for some fun in the tub. Heat glycerin in a microwave on high, stirring at 15-second intervals, until it’s completely melted. Mix liquid food coloring into bowl with a coffee stirrer. Tip: Use food coloring sparingly. Coat the inside of a container with petroleum jelly. Pour in melted glycerin. Add a few faux flowers and let cool completely for about two hours. Cut or tear away container and slice block into individual bars with a bench scraper. Spice up your daily cleansing routine by adding a dash of color and excitement. Stir together citric acid, baking soda and cornstarch in a glass measuring cup. Pass mixture through a fine flour sifter into a mixing bowl. Stir in sugar. 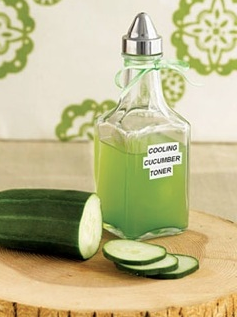 Fill spray bottle with water and add food coloring. Spritz mixture lightly until you can pack it with your hands. Using pipette, add oil (one drop at a time) until strength of scent is to your liking. Using a metal spoon or your hands, mix ingredients until color is even throughout. Tip: When mixture begins to dry out, spritz until packable again. Skip the lime and add the coconut for nourished, supple tresses. Combine ingredients in a blender and mix until they reach a smoothie-like consistency. Part your hair into four sections and generously apply the mixture from root to tip, concentrating on the ends of your hair. Place a shower cap on your head and leave it on for twenty minutes. Rinse hair under room temperature water until smoothie is completely dissolved. Pucker up with a treatment that leaves lips irresistibly soft. Mix the brown sugar and honey together to create a paste and thickly coat your lips. Leave it on for a few minutes and then start to gently scrub with your finger until all the dead skin has been buffed off. Immediately dab on essential oil to moisturize. A simple concoction that rids the skin of excess oil by clearing pores and leaving your face feeling both refreshed and soothed. Pour the mixture through a fine flour sifter to remove all of the solids, then pour the toner into a clean spray bottle with a tight-fitting lid. To use, apply using a clean cotton ball. Brighten your complexion while indulging in the sweet, yet distinctive combination of cocoa and coffee. Add the almond milk and stir until a smooth paste forms. Tip: Use less almond milk if you like a thicker paste. Stir in the honey. 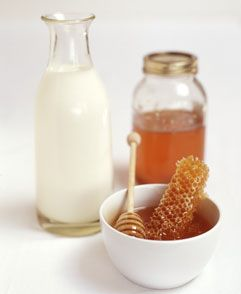 Tip: Honey may be warmed in the microwave to allow for better mixing. For more tasty facials and the guides to whipping up an array of beauty bar favs, visit http://laurenconrad.com and www.marthastewart.com! That coffee and cocoa mask was something I did for my DIY column on here! It is so great!